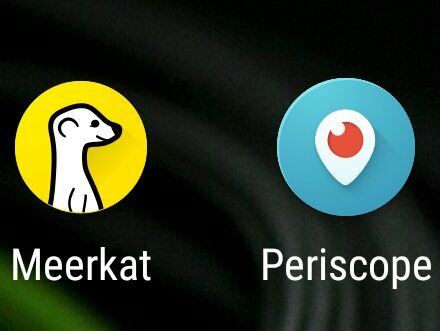 The two latest apps I’ve downloaded to my phone are Periscope and Meerkat. Both are video broadcasting apps available on iOS and Android. Both are relatively simple to use and put you live with followers that are interested in what you’re seeing in real-time. I’m not sure I will be using both for long, because it is like beta vs. VHS all over again. One will be victorious in the end. Which one will it be? Meerkat attempts to motivate users into broadcasting by giving them points. These points help users move up a leader board and create a bit of competition between users. As with most apps, Meerkat arrived on iOS first and most of what I was seeing being broadcast were youth sports games. Not a bad use, but not too intriguing unless they are close relatives. The best use I’ve seen so far came from a guy walking down a New York street as he pointed out his favorite places and introduced you to his neighborhood. I stayed on for a few minutes and enjoyed a little peak into this guy’s world. It was entertaining enough for a short watch. The tragedy is, that I just lucked out. There isn’t a very easy way to search Meerkat for content. They have a search, but that just allows you to find individuals, not topics of interest. The interface is so bare bones that it almost feels half baked. For those two reasons I moved on to try Periscope. Periscope has a huge ace in the hand; it is owned by Twitter. With that in mind, it makes it pretty easy to find social connections that you have already established on Twitter and interact with them on Periscope. This made things automatically more interesting from the get go. I quickly found fascinating, real-time videos from personalities I knew. 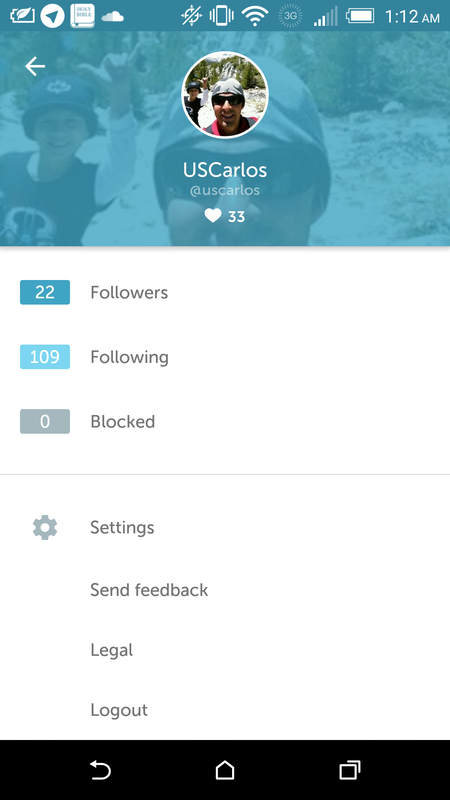 Periscope doesn’t run a point system exactly, but they stole the hearts-style liking system from Instagram. As a live broadcast takes place you can show your approval for their content by tapping on the screen to give the broadcaster hearts. The person on video can see the hearts and later look over a summary of hearts given at the end of the broadcast. Both apps allow a comment stream, which adds even more interaction. I enjoyed making comments and getting responses in real time. Both apps allow you to share your streams with Twitter followers so that they can join in on a broadcast. But at this point, I find Periscope bringing the better broadcasts, from people I know, on topics that I’m interested in. For these reasons I feel Periscope is well poised to be the VHS that everybody sticks with over Beta. I’m not giving up on Meerkat just yet, but Periscope just fits in better with what I’m trying to accomplish with social media. Where do you stand between the two? Share your experiences in the comments section below. I tried Meerkat early on, and struggled to get it working, and when it did, it didn’t work that well. It got the axe quickly. When periscope came along, using it has been a much better experience. I haven’t tried to go back to meerkat, to me, Periscope wins. I know what you mean. I think I’m partial to Periscope as well.